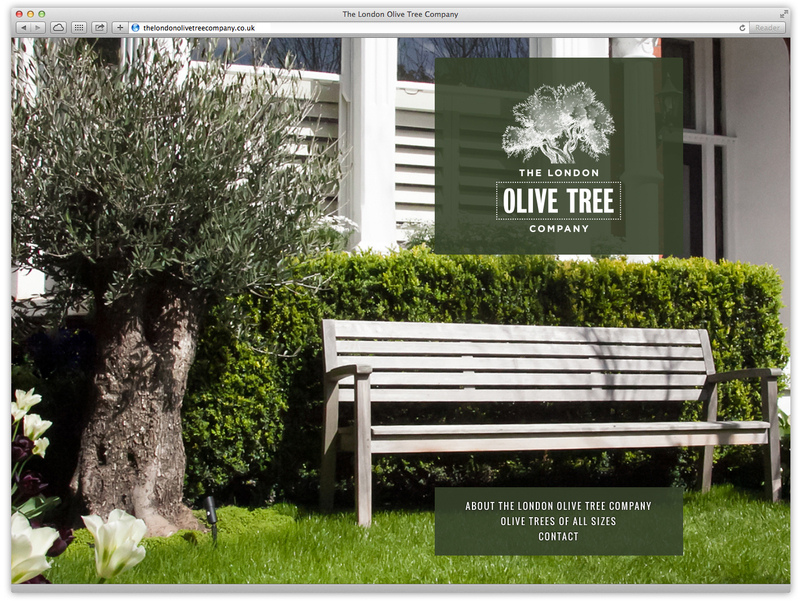 We’ve just finished a small website for olive tree import and sales business The London Olive Tree Company. After designing the identity and website for the London Wisteria Company last Autumn, we were really excited by the simplicity of its format – a single long, scrollable page ideal for tablets which could be produced at a really reasonable cost. It seems to me to be an ideal model for small business launches – something we’ve always really loved doing over the years. So when Chris O’Keefe came back to us with a new idea – selling the olive trees he uses for his landscape gardening direct, online, it seemed like a great move to use the same style of site. The company imports olive trees of all different sizes and shapes from ‘farms’ in southern Spain. It’s a niche business for sure, but with many homes enjoying the year-round foliage of olive trees, The London Olive Tree Company seemed to be on to something. Chris and Matt, his partner in this endeavour, had been to Spain and taken a series of great photos of the trees in situ, all together. Can we add an image gallery. Or maybe even four? And so the site came together and goes live today. As always with our new sites, the design is completely responsive, meaning it works for all screens and devices from smartphones, laptops to large-format office screens. This is complete with those image galleries. I always think image galleries on smartphones are a bit of a weird one (does anyone have the time?) but it looks good portrait and particularly landscape format.